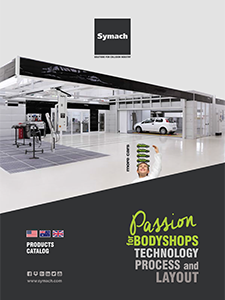 Symach utilizes a software for the design of new body shops that calculates the needs of employees and bays for each phase of the repair process, avoiding any error in estimating these needs. This allows us to offer customers a tailored and guaranteed solution. Symach prepares the business plan for the new project, which encompasses the new cost of the reparation compared with the current customer cost. This allows the customer to know in advance the production capacity and the structure necessary to operate; the business plan is completed with the economic savings per year to measure the return on investment. Symach produces the equipments in its production site in Italy and provides directly to install them with its own 20 international installers.